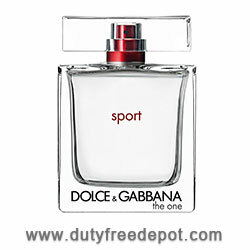 A spicy, oriental perfume, developed on the harmony of tobacco with refined boise notes, Dolce&Gabanna The One for Men Eau de Toilette is a concentrate of elegance and sensuality. Opening with top notes of Grapefruit, Coriander and Basil resting on a heart of Cardamom, Ginger and Orange blossom, it is rooted in base notes of Cedar wood, Ambergris and Tobacco. The ideal scent for the charismatic elegant and seductive man who loves taking care of himself.